Join us for an interactive guide to Shavuot for Kids of all ages. The workshop will include Arts & Crafts, Songs and Games. Sunday 1st June 2014, 10.30am to 12 noon. 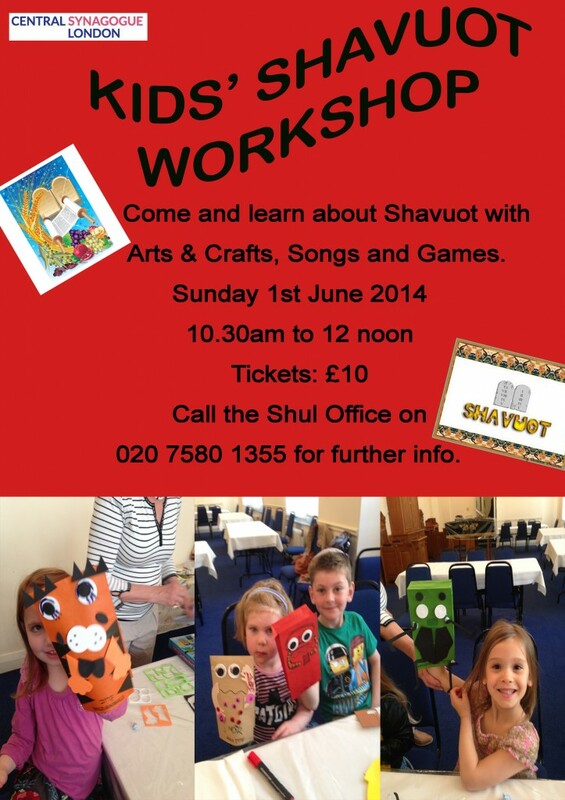 Please call the Shul Office on 020 7580 1355 to book your place. To book online please click here. Come and celebrate Israel’s birthday by travelling with us on our very own El Al flight! Our weekly news sent directly to your inbox. A confirmation email will be sent to you!